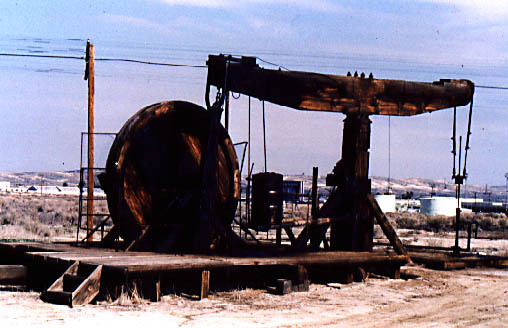 This page is a photo collection of oil fields equipment taken thirty years ago around Southern California. Here is the Pump Jack power building of the Manely Oil Co. across the freeway from their Bulk Oil plant that is seen on the other web page. This building houses the Eccentric Drive Machinery that pulls the cables that go out to the few wooden Pump Jack wells that were still working. 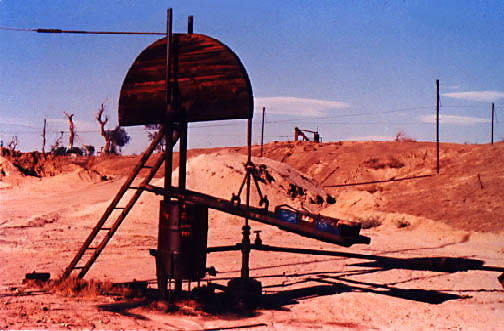 One of the Pump Jacks can be seen in front of the oil collection tank. This is one of the wooden Pump Jacks that the Shackle Line (cable) pulls from the pump house. 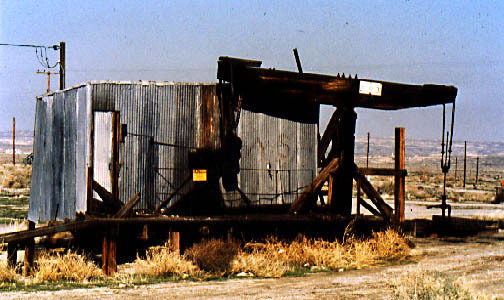 This Jack Line oil pump is in the Kern River Oil District, near Bakersfield. The cable is clearly seen going out of the picture to the pulling machinery. The oil drum cut in half is filled with weights to off set the weight of the cable. On the hill in the background is another Pump Jack like the one in the above photo. 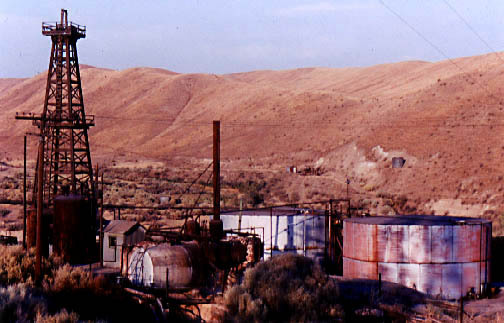 These are photos taken at a Jack Line Oil Field along the Kern River, Northwest of Bakersfield California. 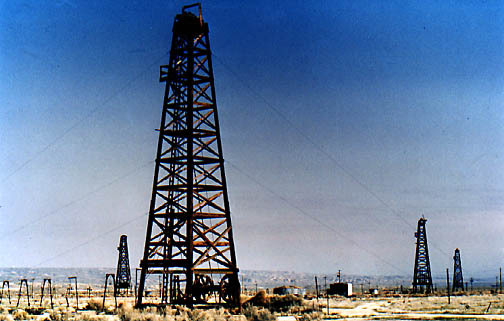 This is another small oil field north of the Kern River District. There were more wooden oil derricks around in this field out of view of this photo. But there are other pieces into making an operating oil field such as the Steam Boilers (seen in the foreground) and the Oil Storage Tanks. 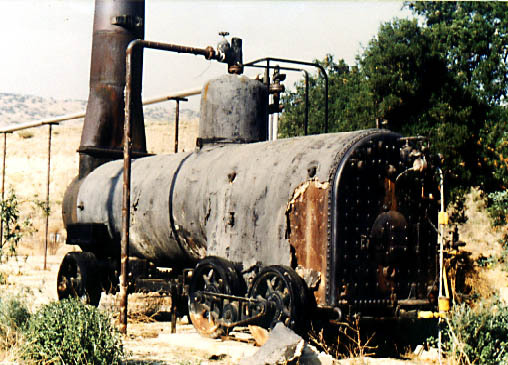 This is a portable steam boiler (having wheels) so to be moved around the field where it was needed. It may be used to power a wells drilling equipment or drive steam into the oil strada so to heat the heavy oil to be easily pumped. 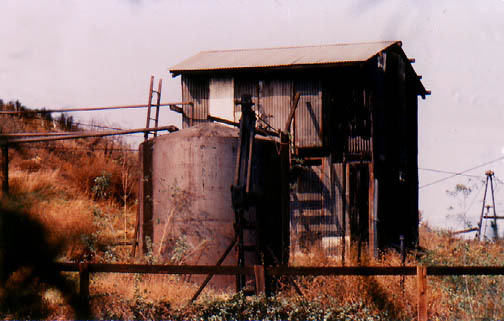 When this picture was taken, this oil well was still in operation. Now it is part of an oil museum complex in Taft. North of Maricopa were these two Walking Beam wells pumps still working in the early 1970s. (Photo above and below.) The well was drilled with the same Walking Beam drilling method. The big wheel once was used to belt a stationary steam engine onto when the well was being drilled. Here were several wells with derricks using Pump Jacks located north of Taft.